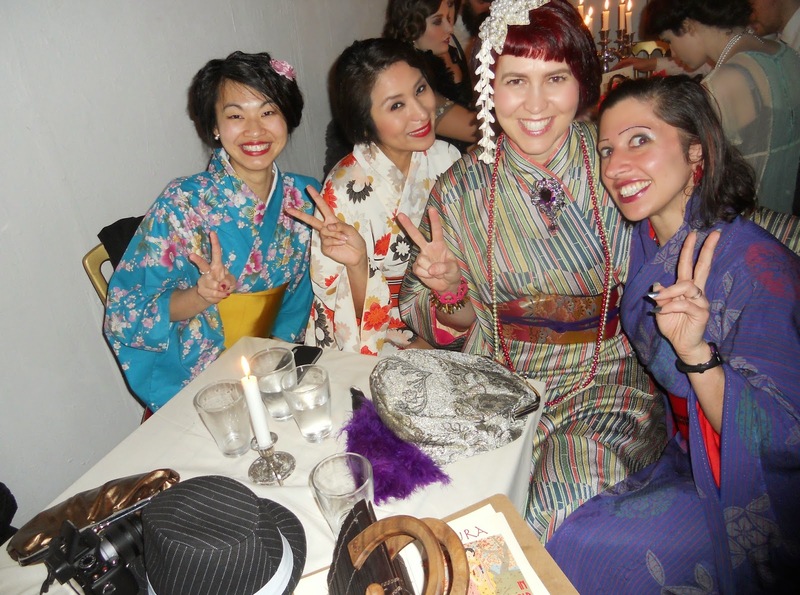 LookS/Review: Sakura in Old Tokyo....chasing 1920s cherry blossoms at the Candlelight Club! My gorgeous gang of 1920s Moga.....absolutely moxie! 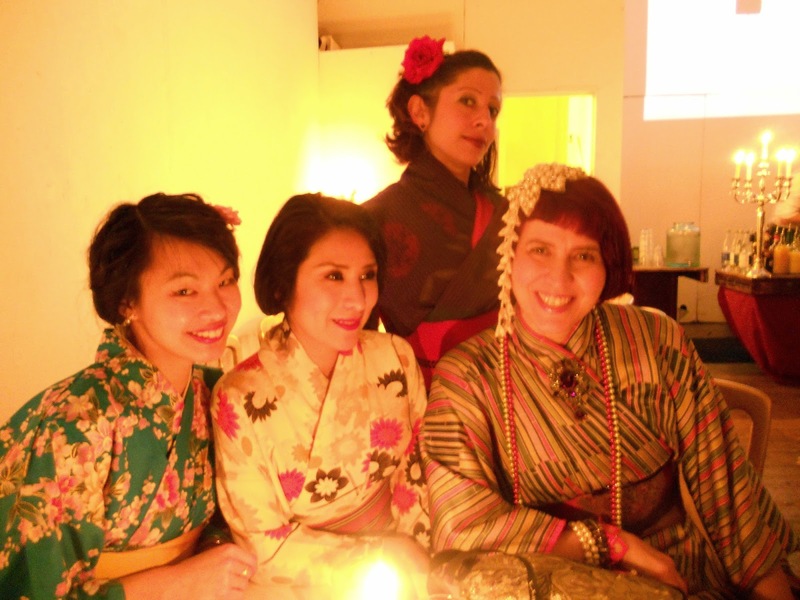 After acquiring a beautiful blue Yukata with pink blossoms from my last trip to Japan, how could I pass the opportunity to wear it again and roll with some hot 1920s jazz at the Candlelight Clubs's Sakura in Old Tokyo night! 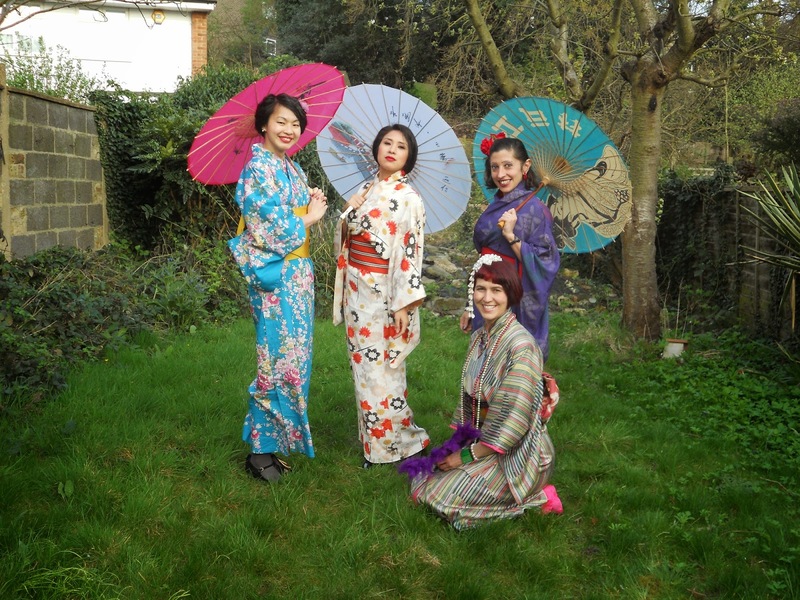 Plus Rachael actually has an amazing collection of vintage and antique Kimono, which you can see the rest of the girlies wearing in the photos, and we absolutely love dressing up to the roaring twenties. 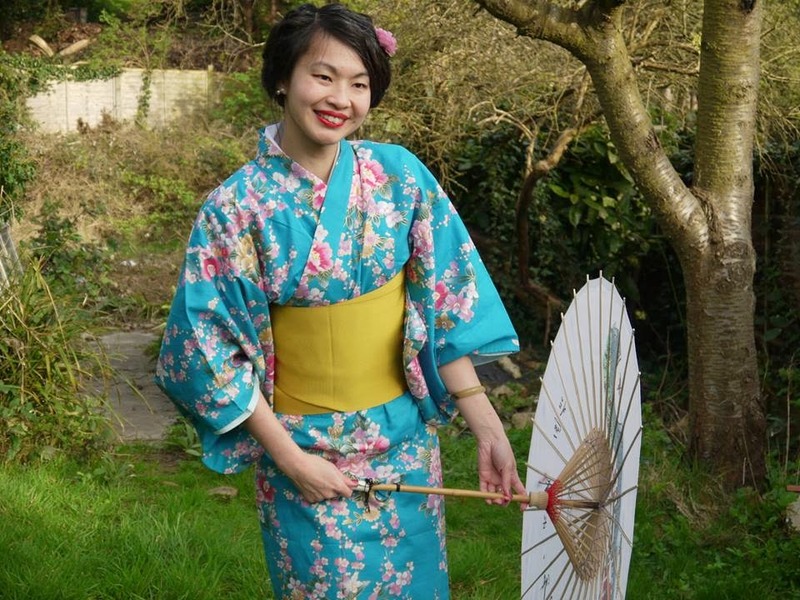 Nabbing myself a proper vintage yellow obi that is light enough for a Yukata on Etsy, I sifted through YouTube for videos (see below) on dressing and practised how to tie the flat Hira obi on myself as well as by myself...because Naoko was unable to attend the event. Arriving at Rachael's fully dressed in my Yukata and tied obi, I was tasked with dressing the girlies and tying their obi into cute bows. 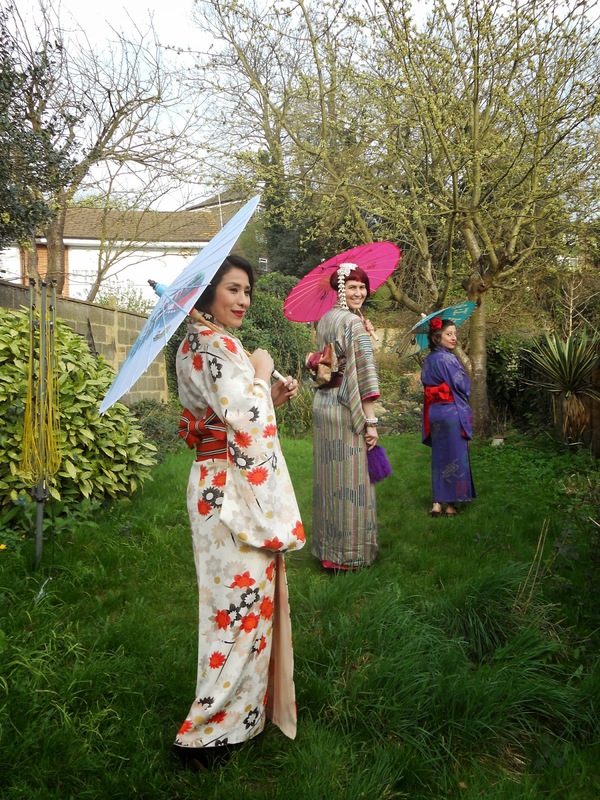 Once dressed and made up with hair as well as make-up, we were ready for a mini photoshoot in Rachael's garden with her collection of parasols...having fun in the sun! Close up of the Hira obi bow I tied myself! 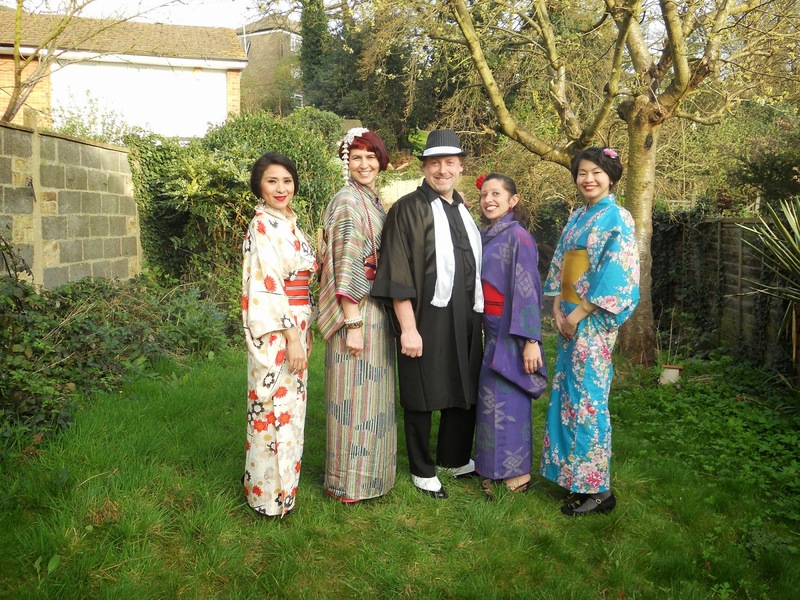 The dapper gang...ready for 1920s Tokyo! The name of this regular London vintage event derives from the secret venue being lit entirely by candlelight, just like how they use to do it before electricity was widely available. Having been to the Candlelight Club before, we knew what to expect and met the fashionably well dressed 1920s vintage fans with delight, though slightly disappointed that the secret venue happened to be the same one we went to in Angel last time. Happy to find we were not the only ones in a Kimono or Yukata, though the only ones in a properly tied obi that even the flapper dressed Japanese ladies from Tokyo were very pleased to see, we were still surprised by the increased hen parties in attendance this time. The silent black and white film flickered from the projector across the clean walls, the bar was well equipped and the delicately illustrated menu was excitingly tantalising...we eagerly spotted beautifully glamorous people all around in their fur, chiffon, pearls, Art Deco and monochrome ensemble. Sipping on Japanese inspired cocktails and whirling around as the kimono dressed Benoit Viellefon played their jazz numbers, we had a fun night of laughter and dance as 1920s Moga! 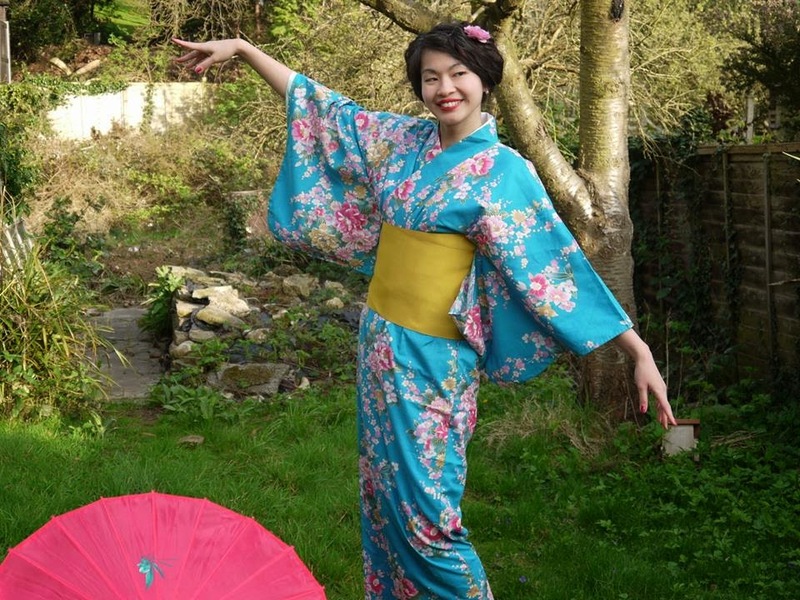 *Reaching £60 = I will be wearing the Cheongsam (Qipao) on all 3 days of the style challenge! **Reaching £90 = I will make my very first VIDEO Tutorial on a vintage hairstyle (voted by you)! ***Reaching my full target £108 = I will be walking the night half marathon "Shine Walk" in September 2014 wearing a Cheongsam (Qipao) dress and vintage hairstyle! And stay tuned to find out what shall be revealed for my 3 days style challenge from 23rd to 25th July 2014....also if you have any ideas on what hairstyles you would like to see me wear, or do for my very first video tutorial then let me know! I shall be off to Spain for a little break over the weekend, but I wish all you kind loving darlings a fabulous and sunny weekend! You guys all look so stunning, but I'm curious about something. I'm kind of concerned about the idea of cultural appropriation - the idea that I, as a white person, might be offensive or insensitive by wearing something that has historical or cultural significance for another group. I've heard different opinions, ranging from "I don't care what anyone else is wearing" to "so long as they know the history and treat it with respect" to "they shouldn't wear it under any circumstances." Where do you stand on the issue? I notice that there is a white woman in the photos, so I'm assuming that you're ok with it in at least some circumstances, but I'm wondering if you could elaborate a little bit for me. Of course, if you're not comfortable commenting, please feel free to disregard! I, nonetheless, love your style and your blog. Thank you for dropping by and taking the time to comment. Cultural appropriation is certainly a tricky issue that can be argued both ways. Personally I celebrate traditional clothing and love the cultural significance as well as beauty it has. 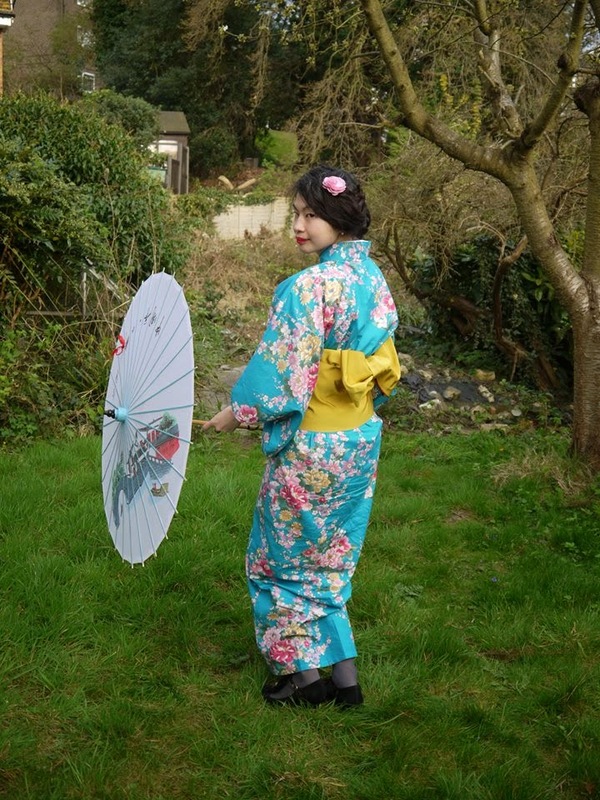 Though I am not Japanese, I have bough both Yukata and Obi from Japan to wear myself. I learned the correct way of dressing in the Yukata from my Japanese friend Naoko and tutored myself on how to tie the Obi properly in the traditional way. 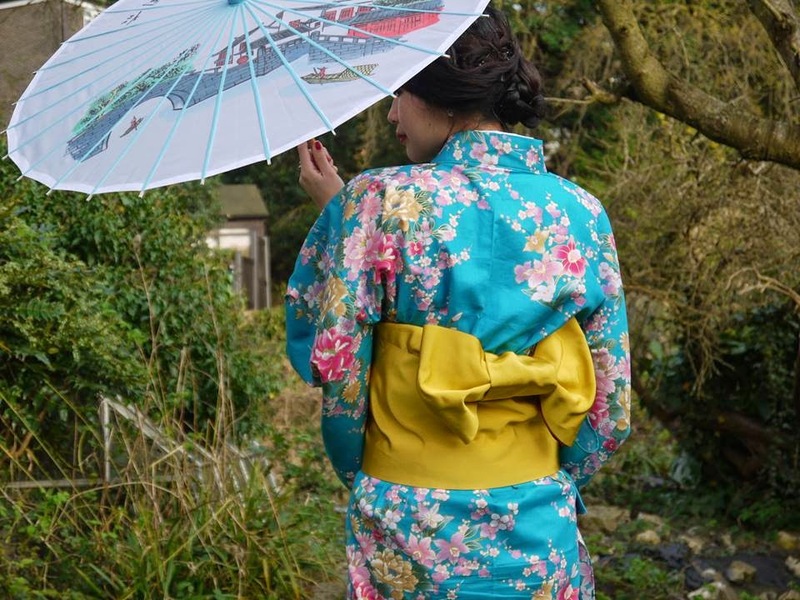 When I wear the Yukata I am also mindful of the etiquette that must be kept when dressed in this traditional piece because I am aware it could project an misconstrued image or a culturally impolite action.....thus making an effort to follow in the most authentic fashion. 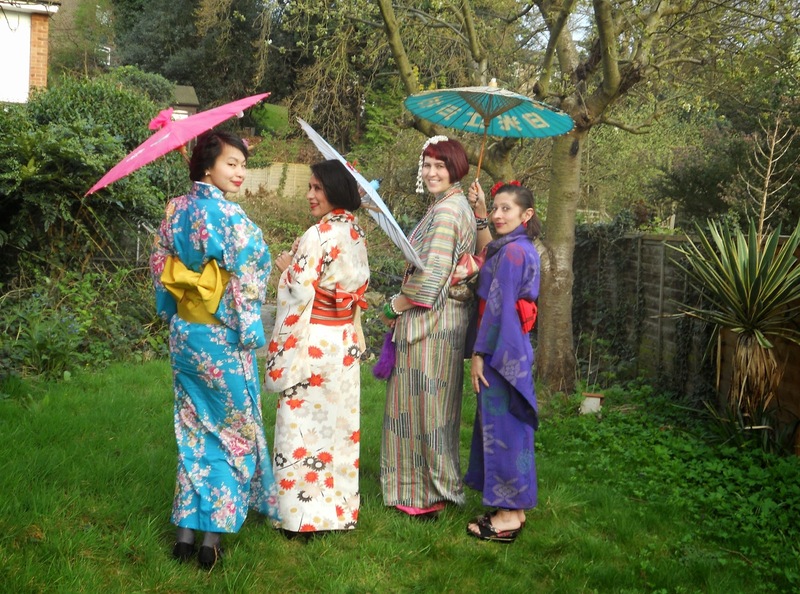 I wear it as an appreciation of the garment as well as culture, but I am not Japanese, and all my Japanese friends as well as the Japanese ladies we met on the evening were not only impressed but thoroughly encouraging in my wearing of the Yukata. In the same way I try to advocate the beauty of the Qipao or Cheongsam with an appreciation of its tradition as well as cultural function, so that it becomes a wearable item of clothing and moves away from the costume party or waitress uniform stereotypes. Even today there is still an argument of whether the Qipao is Chinese because of its origins, and even with a Chinese heritage I am not free from criticism by others. Often those who really come to love something will want to learn about it, respect it and love it as it should be loved....the same goes for a love of the Cheongsam (Qipao). Have a fabulous weekend my dear! Thank you sweety...and that is a very good idea! You all look amazing! I have loved the look of traditional Asian garments since I was a little girl (and even asked my grandmother to make me a couple versions for special events), but I don't have any idea of where to find them, or where I would possibly wear them. Being very white and in midwest America, there aren't many opportunities or resources to find info, so I'm loving your blog! Perhaps sometime I'll get a chance to enjoy such traditional clothing, too! ~Thank you. I love hearing from you and appreciate every beautiful comment. Thank you for walking with me friend.....may your path always be auspicious! Qipao Love: Part 5 ~ How-To choose and wear a Qipao (Cheongsam) that will love your frame! Qipao Love: Part 1~ From Qi Pao to Cheongsam.....an evolution of a dress about women! Welcome my lovely darlings to the new address www.WalkingInMay.com as the blogspot to custom domain transition is now officially completed! Worry not, if you are still using the walkinginmay.blogspot.co.uk address it should automatically divert to the blog and there is also a new e-mail address if you should like to drop me a line to say hello or ask any questions; may@walkinginmay.com! What better way to celebrate this transition than to start on one of my favourite topics.....with Part One of my "Qipao Love (All about Qipao)" series of posts! How-To: Do 1930s to 1950s....a Vintage inspired twist to glitz-up your evening look! With only three days to go before my vintage themed birthday do.....it's all getting a little exciting and I am still finalising my 1920s Great Gatsby inspired look in my head! So I thought it might be helpful to think about building other vintage looks too...just in case any of you lovely darlings are attending a vintage party or in need of any inspiration!